Your floors are a large percentage of the overall space in your home. And if your floors are carpeted, that’s a lot of square footage that is going to collect dirt, dog hair and the detritus of everyday family living. 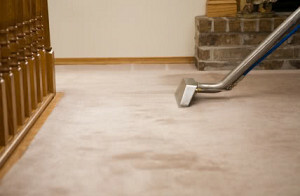 Of course, the best way to keep a carpet clean over the long run is regular vacuuming. But there is nothing like a deep carpet shampooing to really bring those old, worn-looking carpets back to life. Before you even consider replacing the carpet, give it a good carpet shampooing and see how far it gets you. One mistake people often make is to use a liquid shampoo when cleaning their carpets. Since it’s very difficult to rinse a carpet out thoroughly, it only makes sense that a liquid shampoo will be hard to remove. Dried shampoo residue becomes sticky and attracts dirt and grime and can get a little crunchy underfoot. If this is the result you’ve had from a previous carpet shampooing with a wet cleaner, then you will want to steam clean the carpet with a mixture of vinegar and water. The moist heat of the steam will reactivate the shampoo traces, which will have a residual cleansing action, and the vinegar will act as an astringent to remove the shampoo particles. A thorough steam clean and water extraction will help restore the carpets to their former soft feel. Powdered carpet cleaners with a deep vacuuming followed up with a vinegar/water steam clean are best for most carpet-shampooing projects. If there are specific hard-to-remove stains, treat those individually by soaking and then blotting the stain (never rub), and then do an overall cleaning. We love our kids and our pets, but they both can be particularly hard on carpets. From fur and dander to urine stains, pet smells are some of the toughest to remove. Again, it all starts with a thorough vacuuming. A powdered cleaner will attract dander, making it easier to remove. If your pet has had an accident on the carpet, you will need to clean both the carpet and underlying pad as best you can. Urine can spread out once it hits the carpet pad, so when carpet shampooing the area, make sure you clean an area at least twice the size of the surface stain. There are many carpet shampoo cleaners on the market. All-natural cleaners such as vinegar and water will remove most stains. Products with orange extract are excellent, as are many of the plant-based products. When we have kids and pets crawling around, we want to be sure to keep the carpets clean and healthy for all.